Want to restore hearing by injecting stem cells into the inner ear? Well, that can be a double-edged sword. 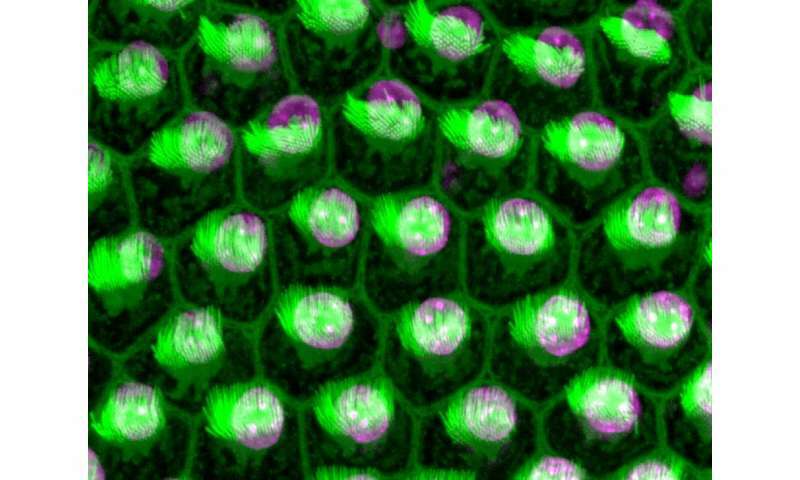 Inner ear stem cells can be converted to auditory neurons that could reverse deafness, but the process can also make those cells divide too quickly, posing a cancer risk, according to a study led by Rutgers University-New Brunswick scientists. The encouraging news is that turning stem cells into auditory neurons can be controlled - at least in a Petri dish, said Kelvin Y. Kwan, senior author of the study and an assistant professor in the Department of Cell Biology and Neuroscience in the School of Arts and Sciences. "It's a cautionary tale," Kwan said. "People say, 'we'll just put stem cells in and we're going to replace lost neurons.' We're saying that 'yes, we can make neurons,' but you have other side effects that are unanticipated, such as increased proliferation of stem cells. So this will guide us toward a better strategy for cell replacement therapies." The Rutgers-led study was published in Stem Cell Reports and led by Zhichao Song, a doctoral student in Kwan's lab. Co-author Azadeh Jadali is a post-doctoral associate in the lab. So-called hair cells in the inner ear convert sounds into neural signals that are relayed to the brain by spiral ganglion neurons, the study notes. Hearing loss from overexposure to noise causes hair cell loss, severe damage to neuronal processes and slow degeneration of auditory neurons. The neurons do not regenerate once they are lost. "Hearing loss impacts about 15 percent of the American population - probably more," Kwan said. "Over the years, you don't realize that you're not hearing well until you get tested. We're one of the few labs trying to figure out how to address the hearing loss issue." 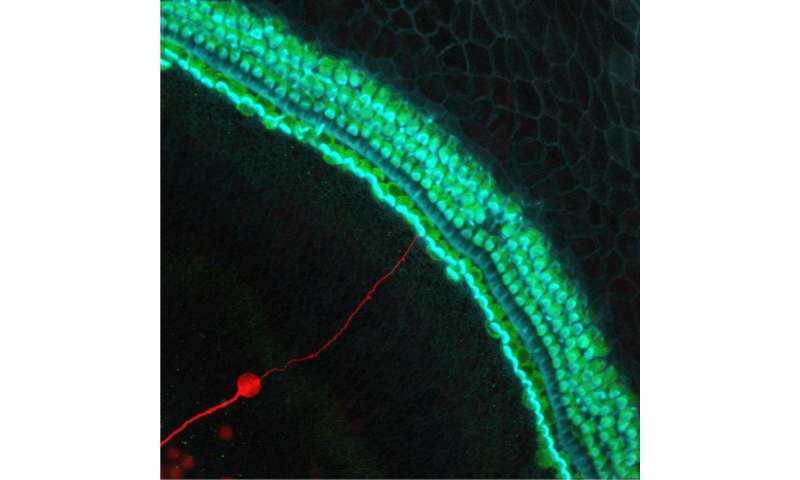 In their study, the scientists overexpressed a gene called NEUROG1 to turn inner ear stem cells into auditory neurons. "But since that leads to increased cell division and NEUROG1 is used in other stem cells to make other types of neurons, scientists in other fields should be aware that when using this factor, they'll probably also increase cell proliferation," Kwan said. The Rutgers scientists also discovered that chromatin - DNA studded with histone proteins - influences how NEUROG1 functions. Changes in chromatin may help reduce unwanted stem cell proliferation and can be achieved by adding drugs to experimental cultures in Petri dishes, Kwan said. "Ideally, we would change the chromatin state before we start overexpressing NEUROG1 and prevent unwanted stem cell proliferation," he said.